Main product was £395.93 (from 18/09/2018 to 29/01/2019), now £369.00. The Canon EF 85 mm f/1.8 USM Lens is a number one choice for portrait photographers, with a wide aperture and versatile focal length. If you're an avid portrait or people photographer, you'll love the combination of a short telephoto 85 mm focal length, large f/1.8 maximum aperture and rapid autofocus in this short/medium telephoto lens. Enjoy sharp, clear photographs at all apertures with the EF 85 mm f/1.8 USM Lens thanks to its virtually circular aperture diaphragm, which helps you achieve softer, more even out-of-focus areas. Because of its short telephoto focal length, the EF 85 mm compresses perspective to a certain degree, reducing the size of prominent facial features for photos that are more flattering to your subject. Subjects that are in-focus will achieve superb definition and contrast against blurred backgrounds, so portraits in particular will attain a compelling look. 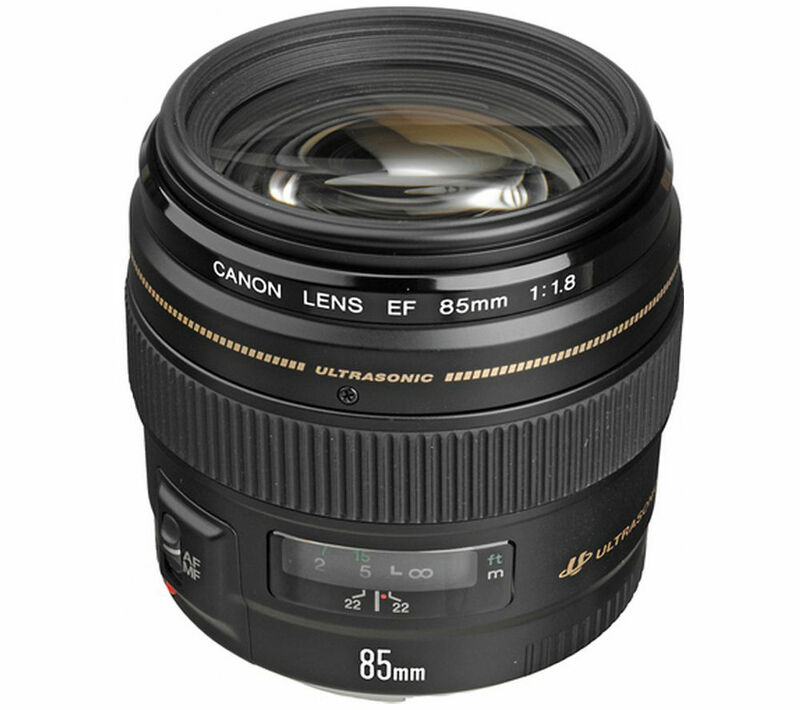 The Canon EF 85 mm Lens offers a large maximum aperture of f/1.8 that lets you shoot hand-held in even difficult conditions with poor lighting. You'll be able to get more creative with the way it restricts depth-of-field. A non-rotating front element during focusing allows you to use specialist filters such as polarisers and graduates, giving you greater control and creative options. Ghosting and flare from light bouncing off the sensor are drastically reduced thanks to Super Spectra coatings. You're ensured of exact colour balance and boosted contrast. Thanks to its USM focus motor with full-time manual focus, the lens performs with superb quietness, whether you're using manual or automatic focus. A ring-type ultrasonic motor drives autofocus very rapidly, in virtual silence. You'll be able to achieve the point of focus easily and precisely because of its excellent holding torque, without overshooting. Adjust focus without leaving AF more with the inclusion of full-time manual override. In addition to these features, the EF 85 mm f/1.8 USM Lens is able to convey distance information back to a compatible EOS camera's E-TTL II flash system, so that you achieve optimum flash metering. 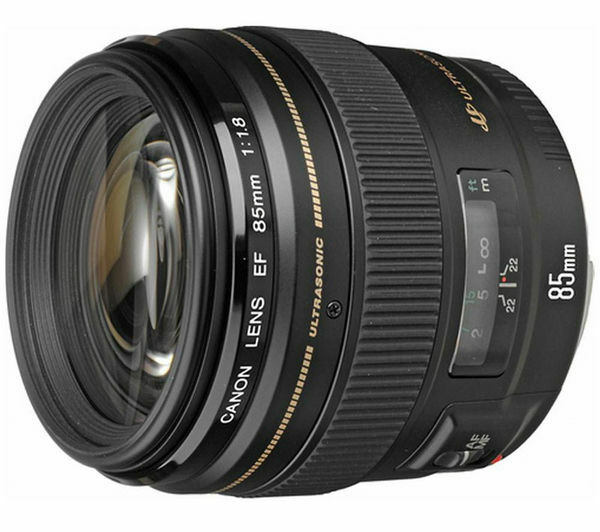 Make sure you've got the ideal portrait lens in your arsenal with the Canon EF 85 mm f/1.8 USM Lens.